It’s been well over a decade since I’ve had a paid salary job with benefits. When I left a permanent full-time job to take a contract gig at a design firm I didn’t know it would be the start of a long, interesting, and formative journey. Over the past 10+ years I have had a lot of roles for different clients, sometimes I am designing their next product and handing it off to their fabricator, sometimes I am designing a retail space working directly with the retailer and their in-house management team. Often these days, I am representing a company other than my own, as an Industrial Designer, Design Manager, or Design Director for a firm who requires senior level experience for a specific project or client, but doesn’t necessarily have the budget or the need to hire full-time permanent help. This might be a marketing agency who wants to try expanding their offering, a company or design firm just starting out, or it could be an established firm needing expand their team or fill in for an employee who is going on maternity leave. In this type of role I have found a great amount of variation over the years which has allowed me to expand my experiences past those I would have gained by staying in one place, it has introduced me to a wide variety of different disciplines and skill sets that have enriched my own experiences and offering. Creativity thrives when new teams are formed and new challenges are presented, that is why I am a firm believer that companies of all sizes can benefit through the use of free-lance or contracted creative help. They can inject new ideas into their strategy and can do it in a way that is fiscally attainable. I’m always interested in meeting new people and hearing about what they do and the challenges they have. If you think I can help, get in touch! 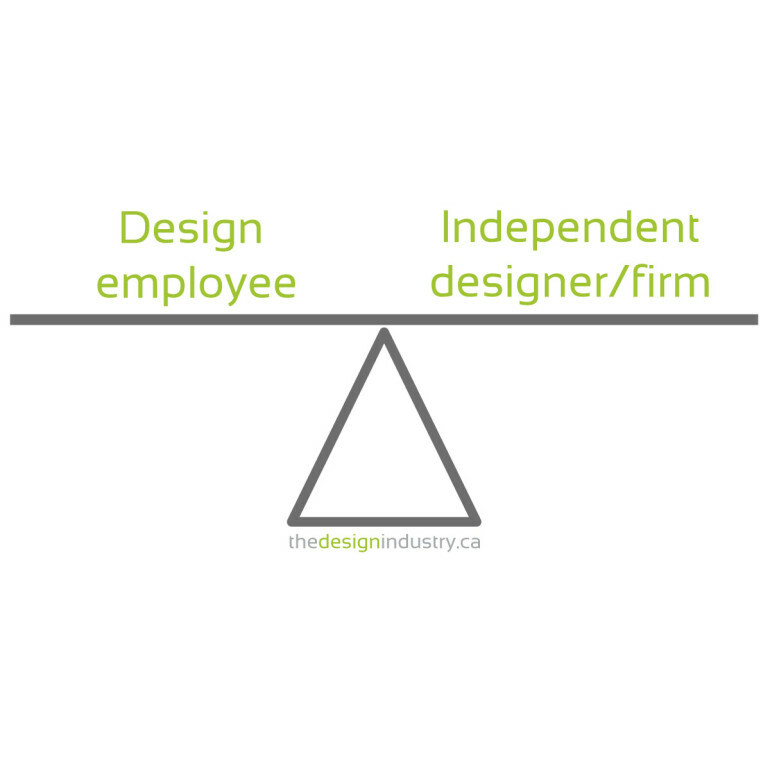 Why hire an independent designer or firm? Why hire an independent designer or design firm? In short, because they look after your direct needs the best while offering greater levels of flexibility and interdisciplinary talent. The longer answer to that question is that a designer makes their living on designing things (graphics, products, buildings, spaces) for YOU, the client. Their main goal is to make your project a success which means their goals align with yours. Make note that there is no shortage of manufacturers and ‘design-build’ type organizations which offer design services, so why not just go with them? Because they make money selling the item they manufacture and they have to hide the cost of the design in the product they sell while still remaining competitive for the product itself. The design cost is a liability for them, meaning a metal shop will design metal stuff for you, they’ll pay their in-house designer as little as possible and encourage them to work as quickly as possible. Does that sound like the optimal scenario for you to get the best solution for your needs? Independent designers don’t have a hidden agenda, they aren’t burying the cost of the design into a widget or a construction project, and they’ll design whatever you need to be made however you need it to be made. They work for you first offering unbiased advice! Start-ups have crucial needs where design is related. Design can make or break a new company from small things like looking professional enough to get taken seriously, to big things like getting their product right, their tooling made correctly, and their product’s brand established. Many start-ups begin with an idea and passion but assembling the right team of experience in different fields is difficult at the best of times. Add to the mix the lack of cash flow and sometimes lack of business acumen and it’s no wonder so many struggle to get off the ground. Hiring the right independent designer or firm allows small businesses and start-ups to get the most experience for the least commitment in the most controllable manner. As an established company, you have a requirement for industry leading design and innovation but what that often means is hiring designers to work fulltime in-house. Many companies have development cycles that don’t necessarily justify fulltime permanent design staff. They get stuck in a cycle of trying to keep the staff busy, or they decide to save money by hiring a junior designer who doesn’t offer the industry experience the company needs to be a leader. Let’s get to business and look at the numbers. In Canada right now an intermediate level industrial designer will cost an average of $60K per year + benefits, + office space + computer + software licenses + additional training etc. That can add up to $70-80K per year per staff member and that’s at an intermediate level. Senior level designers will run considerably more. Certainly many companies have a need for fulltime design staff but that isn’t always the case. 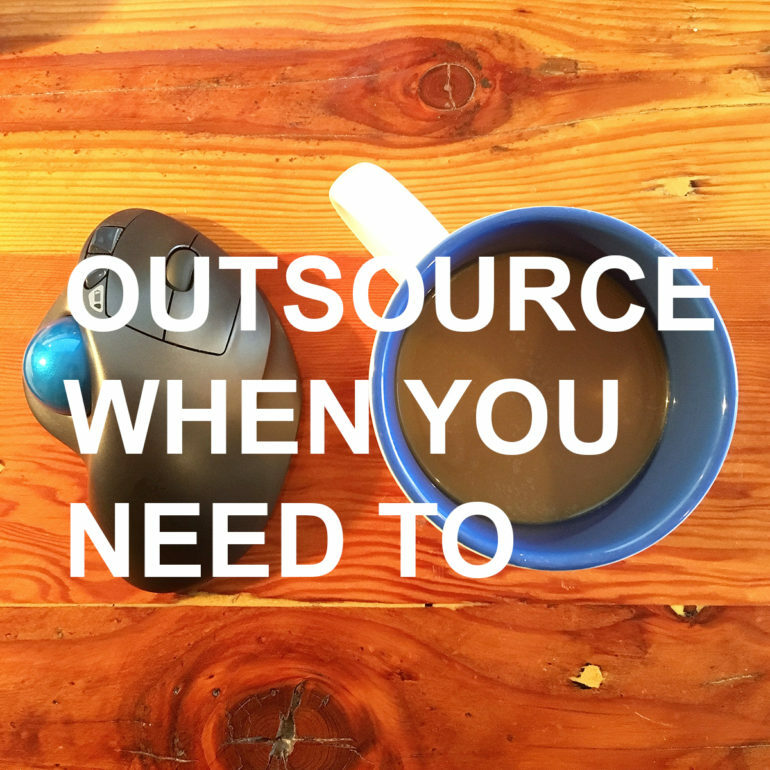 As an established company with known and somewhat set needs, hiring out can offer a lot more flexibility, knowledge base, and fiscal savings. It may just make more sense. Before you hire you need to know what your needs are. What specifically do you need done, and are these tasks a one time thing or on going? How vital are these tasks and needs to the success of your business? Once you have established a list, you will need to determine if it makes sense to hire in-house or get help from independent designers and firms as needs arise or change. Whether you hire in-house or independent, you should ensure the designer has the required education, experience level, and are members of their local accreditation body. Unlike fields in the medical or legal industry where you cannot practice as a doctor or a lawyer unless you are one, many design related fields aren’t regulated. If you are going to spend tens of thousands of company dollars on development, tooling, or construction, you want to make sure the people making the plans for you know what they’re doing. Most areas have accreditation bodies such as ARIDO for interior designers, ACIDO or BCID for industrial design, or RGD for graphic design, allowing you to be more confident in your hire. Don’t be afraid to ask for examples of work, discuss directly related experience, and be open about your company’s goals. The more a designer knows about the company and it’s target market and future goals, the better he or she can tailor the design and development process to you. Later I’ll discuss how to set up a contract or agreement that outlines scope of work, and expected deliverables and timelines to allow both parties get doing what they do best without any surprises along the way.